When Meesaya Murukku, which marked Aadhi of Hip-hop Tamizha duo's directorial and lead hero debut, locked horns with the then highly-anticipated Vijay Sethupathi, Madhavan starrer Vikram Vedha, everyone was skeptical about the former's fate at the box-office. 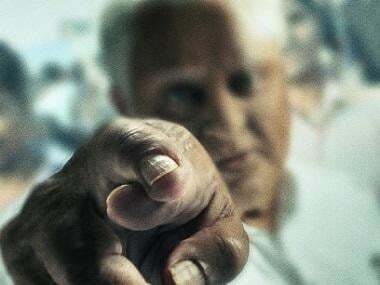 To add to the pressure, Meesaya Murukku was one of the first films to release after the implementation of GST price hike in tickets in Tamil Nadu. Eventually, Meesaya Murukku emerged as a huge blockbuster and received good reviews from everyone. 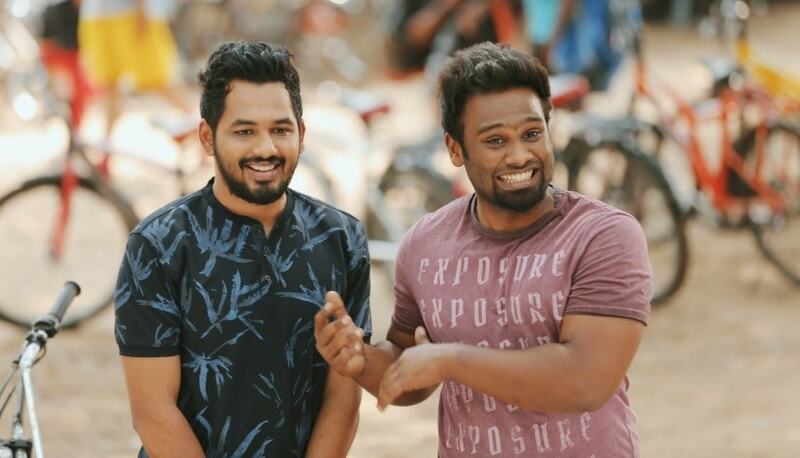 Talking about his second film as lead hero, Aadhi, in a group interaction, says, "Natpe Thunai is also cut from the same cloth as Meesaya Murukku. While the latter catered to young audiences, we have expanded our audiences for this one. 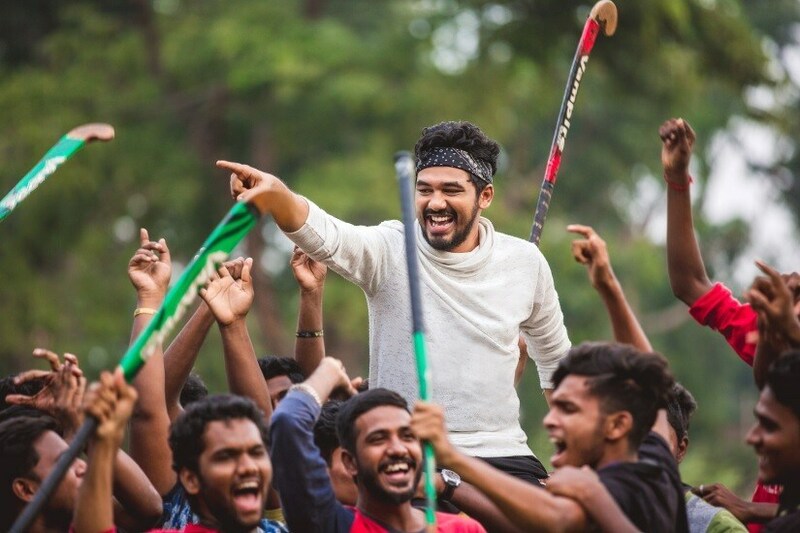 Sportspersons would be able to relate to Natpe Thunai like how college students loved Meesaya Murukku. It will be a fun, jolly, and feel-good entertainer." The film, helmed by Parthipan Desingu, released worldwide on Thursday (4 April). "Although it's a debut film for our director Parthipan Desingu, he is coming up with truckloads of experience from the industry. He has been part of the industry for nearly 13 years under various verticals. Handling the hockey stick is not as easy as everyone thinks. I underwent hockey training for six months, and there was a lot of responsibility on me. But the training process helped us all bond over the sport, and it was extremely rewarding," said Aadhi. 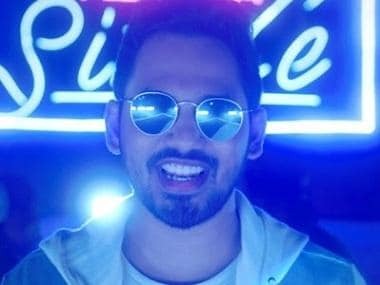 Aadhi says Natpe Thunai is bigger than Meesaya Murukku in terms of scale. "We have also roped in real-life hockey players in the film to add more authenticity to the sport. It will be difficult for audiences to identify who the actors and real players are in the movie. We all got proper training with the hockey postures, movement, and tracking. I was also injured during the practice but didn't give up. It was a challenging and demanding film," he stated. Another interesting casting choice in the film is actor-orator-director Karu Pazhaniappan playing a significant role. "He has done an essential role in the movie and has an important message to convey. Since we are all youngsters, audiences won't take it seriously. So, we wanted someone strong to convey the message. Karu Pazhaniappan sir is the apt person to say those lines," said Aadhi. Parthipan Desingu also seconds Aadhi's thoughts on the supporting cast. "One of the biggest strengths of our film is the supporting cast. Karu Pazhaniappan and Harish Uthaman have delivered excellent performances in the movie. They have given different shades to their respective characters," he told FirstPost. Aadhi is known for roping in hordes of independent artists (actors, singers, musicians) in his films and albums. "We are introducing Eruma Saani fame Vijay from YouTube space to feature films in Natpe Thunai. In Meesaya Murukku, we were all newcomers. Now, everyone has a handful of experience. I feel really proud to have introduced independent artists and work with them in my films," told Aadhi. He further added: "My passion for the Tamil language was not noticed during my initial days. Although my first album featured a lot of songs on Tamil, it was Clubbula Mubbula which reached the audiences. I was happy with the way Tamizhi documentary was received on online platforms." Talking about choosing Pondicherry as the story backdrop, director Parthipan says, "Since I was very familiar with the geography of Pondy, we had agreed on this location. Aadhi's dedication to learning hockey was extraordinary. Although I was particular and keen about finishing the project very quickly, he was insistent about learning the sport properly before going on floors. The three-month-long training period was very intense and was never without injuries. But everyone was very passionate about learning it." "Like Meesaya Murukku, we have not glorified smoking or drinking in Natpe Thunai too. Pondicherry is about a lot of other things than what people usually relate it to. We have tried to explore the same in our film too," said Aadhi about the backdrop. Aadhi and director Sundar C share a great rapport, and the latter has always showered lavish praise on the former's talent as a multi-faceted artist. "Sundar C sir treats me like his family member. I really don't know why he loves me so much. We share a lovely relationship, which I can't explain in words. At the press meet of Meesaya Murukku, he was bold enough to say that he would sign me again if Meesaya Murukku didn't go well at the box-office. Not everyone would say that. I'd still do one more film for Sundar C sir. He is like my mentor and godfather," said Aadhi on a concluding note.